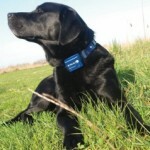 Home » Dog Product Reviews » Review: Citronella Spray Bark Collars; Are They Worth It? Almost any correctional collar is always dismissed by any trainer worth their salt. 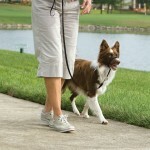 However, the majority of dog owners, almost all of them in fact, are not dog trainers. Excessive barking can pose a great problem beyond simple annoyance. A dog who barks at every little sound may end up in a shelter after neighbors complain or even deemed aggressive due to the barking out windows or even on walks if he reacts to other people or dogs. Keep in mind that nearly all correctional collars pose far more harm to a dog than good if not used right, but what about the citronella spray collars? 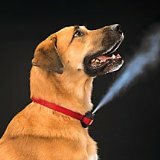 A citronella spray bark collar, such as those made by Innotek and PetSafe, offer a quick and immediate negative reinforcer when a dog barks – it sprays the dog in the face with a potent, but safe spray of citronella. The collar, when combined with positive reinforcement of giving the dog a reward when he chooses not to bark, can actually be a great help for dog owners who are not professional trainers. After only a few barks, the dog quickly learns that when the collar is on, barking leads to a consequence that is uncomfortable, but not painful. 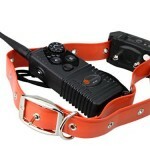 While this teaches the dog that the uncomfortable consequence, getting sprayed in the face, only occurs when he wears the collar if it is combined with positive reinforcement he will also learn what is expected of him at any time, which is not barking excessively. Excessively is the key word here. All dogs bark. It is natural and it should not be taken away from them, but some dogs bark because they don’t know what else to do in a certain situation, such as hearing a knock on the door. Put the collar on during training sessions and purposefully knock on the door to get him to bark. After he tries to a couple times and is corrected by the collar, he will choose not to bark to avoid the spray. When he makes that choice to not bark, he should be rewarded with a high value reinforcer such as meat or cheese. This is what gets you those reliable results of not barking at triggers. Misuse of these collars, though, is far too common. 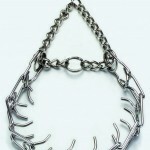 Instead of dealing with the real problem, an owner may find it easier to just keep the collar on their dog. Not only is these very damaging to the dog’s natural behavior, but it can also lead to more dangerous behaviors later on. Barking, and of course growling, are sometimes used as warnings, especially if the dog is reactive and barking out of fear. He is saying, “Hey, back off! You scare me!” If he is only punished for barking, and never rewarded for being calm and quiet, he may surpass that warning all together and do the only other thing he instinctively knows – biting! In comparison to shock collars, any excessive barker of any age or size can benefit from the spray collar as a training aid. Dogs have an incredibly delicate sense of smell, and the citronella scent is potent, making it very uncomfortable and undesirable for them. In comparison, dogs have a very high pain threshold. Only a small percentage of dogs have a reaction to shock collars. Aside from the shock simply not working, it also has a very dangerous probability of short circuting and literally burning your dog’s throat! Why waste money on an item that probably won’t work and cause your dog problems? All in all, the citronella collars do work. However, they must be combined with positive reinforcement training to get the point across to the dog that you don’t want him to bark, but you do want him to remain calm and quiet. That positive reinforcement he will receive when he chooses to be quiet will carry on even when you take the collar off of him. Using it during training sessions is far more beneficial to all involved than keeping it on at all times. However, when it doubt hire a professional private dog trainer instead, and you may be even happier with the results! To read many more reviews and get feedback from everyday people like us, you can research all kinds on Amazon here. Great article, Vince. Using a Citronella collar, like any electronic device, is no substitute for training, but can keep the owner from getting a huge fine and being forced to surrender the animal to the shelter. It can also serve as a jumping-off point for proper training. In the Premier Gentle Spray packages, there are instructions included for using positive reinforcement and also for avoiding some of the risks of using an electronic device, such as getting them wet. I know that the International Positive Dog Training Association (now the PPG – Pet Professional Guild) would not allow its members to use any form of corrective collar, including the sprays. To really train your dog to be quiet, or to offer some other behavior than barking, you actually have to reinforce your dog for being quiet. In other words, most of us don’t pay any attention to a quiet dog when we are busy. That’s why the dog isn’t getting reinforced for being quiet. The only time we pay attention to a dog when we’re otherwise occupied is when the dog barks. So if you want to train your dog to be quiet, “capture” that moment in time when he’s quiet. Say, “good quiet,” and toss him a little treat. When he’s noisy, try giving him a cue that he can respond to: “Come!” When he comes, reinforce him. Most dogs won’t bark while they’re running to you, so giving him something else to do and reinforcing him for doing it will help a lot. Those are only two of the many things you can and should do to start teaching the the cue to be “quiet.” You can also teach him to “speak” and be “quiet” alternatively to teach him the difference. But I’m begging you never to use an electronic shock collar. A stray wind can cause them to shock your dog.